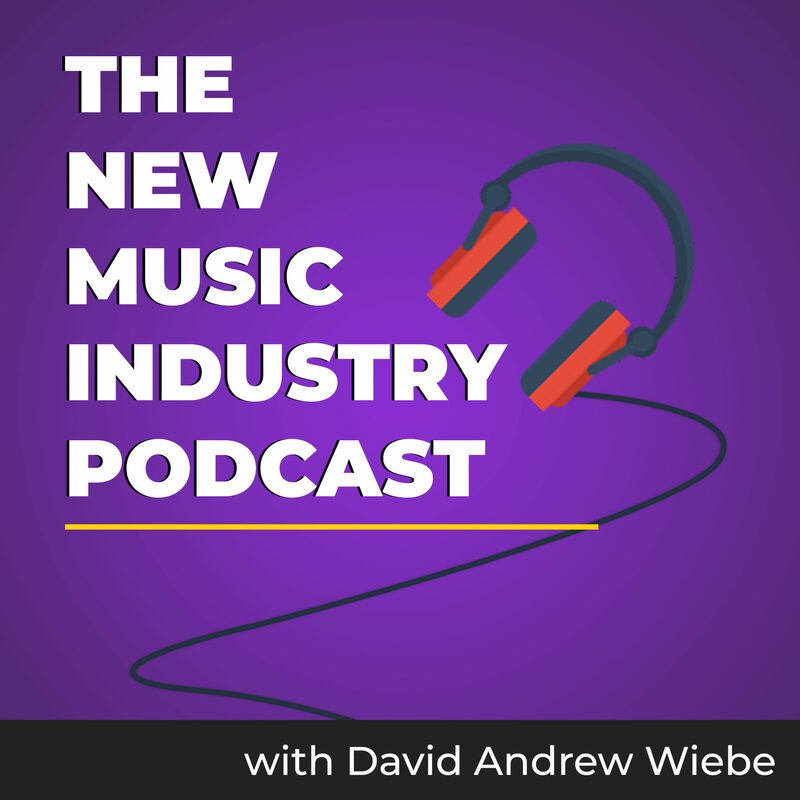 This is a transcription of the sixth episode of the David Andrew Wiebe Interviews and Music Business Podcast. David: This is the David Andrew Wiebe Podcast, Episode #6, for December 12th, 2009. And with me here today is special guest Shawn Evans. How are you today, Shawn? Shawn: I’m fine, Dave. Thanks. David: Good. I’m going to interview Shawn in just a moment, but first I have a few quick announcements to make. I have a couple shows coming up with the Pity Dates in the next couple weeks. We are scheduled to play at Kawa Espresso Bar on the 17th, and we’re also supposed to be playing at the Dog & Duck Pub on the 18th. I believe we’re opening for Ben . . . I can’t remember who. And so if you’re like to learn more about those shows, pleas visit my website at www.daw-music.com, and sign up for the newsletter, while you’re at it, so you can get updates on future shows. Also, we’re supposed to be playing January 14th at the Tropicana with the Pity Dates. And that’s pretty much it for announcements. So again, with me here today is Shawn Evans, who is a composer, as well as an accomplished drummer, in my eyes. And Shawn has a good ear for orchestration, and was also helping out as a producer for Angels Breaking Silence. So let’s talk a little bit about your experience as a drummer, first. How did you get your start? Shawn: I was involved in high school. My best friend at the time was a trombone player, like me, and there was a spot opening up, and we were in a big fight. So what ended up happening was he said he was going to go for the drum spot. I said, ‘I’m going to go for the drum spot. I don’t like you. I’m going to go for the drum spot.’ Totally not an admirable way to find a new position in drumming, but that’s how it ended up. I started drumming there. I went through high school, and went from high school to college. Went to Capilano College in North Vancouver, and was playing in the jazz department there for a while. And then I went off to Ships for about one year, and then I started liking it, so I went back for another four. So that’s basically where I’m at right now. I’m in university here in Calgary, in the music department of Ambrose University College, and finishing my graduating year. David: So you’ve already had a few years of education behind you with music. David: That’s awesome. Talk a little bit about some of the bands you’ve played in. You played in a cruise ship for a while. Is that right? Shawn: Mm-hmm. Yeah. There was a bunch of different bands. I played in trios, in quartets and quintets, and everything up to an 11-piece big band on the Queen Mary II. So everything that way involves a lot of reading, so it was a lot of understanding in how click tracks work, because there was a lot of production shows, and a lot of necessary understanding that time is so integral to the overall sound of an ensemble. So it became necessary to start working on time that way. And so trios, quartets, quintets, everything up to 11-piece. And off of cruise ships, there were all types of different bands. I was in a country band, in an R&B band for a while, and I was in a smattering of other stuff that was not so long-term as those ones. David: So what does it look like to play all those different styles as a drummer? Shawn: It just comes down to being able to understand the style. So obviously, if you’re listening to the music, if you’re familiar with it, you’re able to not just take in, but also, you know . . . obviously, the more you inhale, the more you exhale, so to speak. It’s a matter of understanding the style. So if you understand the style, you can understand why a certain rhythm is played in the weak part of the measure rather than the strong part of the measure. If you understand the language of the dialect of music, then obviously it will become less and less of a chore to listen to it, and more natural. David: Hmm. Talk about some more of the requirements and nice-to-haves when playing on a cruise ship. Shawn: Because you’ll get better overall, the more you do it. And when you’re bringing in new acts every week, you never know what the music’s going to look like, whether it’s a detailed drum part or whether it’s, you know, just a rhythm part that has, you know, a part for the rhythm section on it. So yeah, I think that’s the biggest thing. David: If you had to pick just one style or genre of playing, what would you say is your primary? David: Definitely. Have you had the chance to play a lot of Gospel R&B, then? Shawn: No, no. It’s very foreign to Western Canada. It’s very popular in places like Atlanta and Houston, but because it’s so far removed from the multi-cultural sort of white bread thing that we’ve got going here in Western Canada, there tends to be a movement towards, you know, rock and country, and not much of anything else. Shawn: So with . . . you know, we’ve got some blues going on, but basically, that’s what you’ve got. Because it reflects the culture. Meanwhile, in Houston, you’ve got . . . where my lovely wife is from. She’s . . . because of my time down there spent with . . . spent courting her and her family and all that, it’s given me a lot of great opportunities to hear what the local scene is like for what a section of the country that has so many different cultures going on at the same time. Like, it is so rich down there. So it’s really great to have all those musics coming together and exalting God in a way that is sort of musically very, very diverse. David: Hmm. Yeah. Here in Alberta, we definitely seem to have a bit of a country focus, in my experience playing around the Calgary area. Do you play any other instruments? Shawn: No. No, I don’t. I have an understanding of harmony, but my piano playing is very weak. I can, you know, I can plunk out a series of chords for you, but technically no. No, no, no. 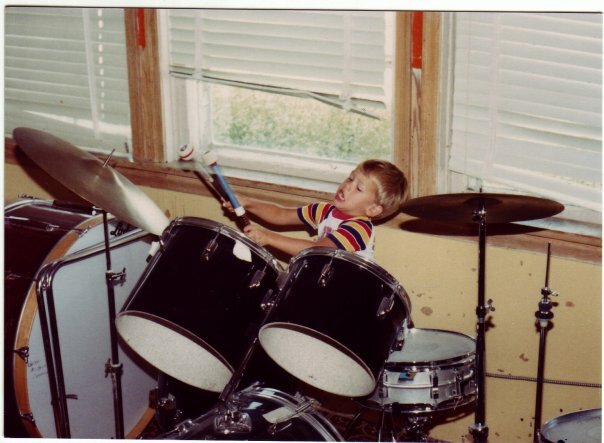 Nothing more than, you know, drums is obviously going to be my strongest point. David: Yeah. Interesting. So let’s talk a little bit about the composer side of things. What are some of your goals as a composer, and where do you want to take that? Shawn: I listen to a great deal of film scores, and I have a lot of trouble listening . . . or watching movies without being very distracted by a good film score. I can’t . . . sometimes . . . there’s times in movies . . . like in, for example, ‘Pirates of the Caribbean,’ there’s a song by Hans Zimmer called ‘Drink Up, Me Hearties, Yo Ho.’ And it is so powerful. It is stuff like that that really makes me want to compose more. It’s like, there’s something about the beauty of it, and the way it takes you along in the size and scale of it, that it’s a very beautiful thing. And I don’t think there’s anything else that can move some people like music can. I think it’s a marvelous opportunity to bring a pointer to the glory of Christ that way, because that’s certainly my direction. Music ministry is my direction in music. David: Right. Is the drumming thing going to continue to be an integral part of what you do? Shawn: Absolutely. Yeah. I think that, as others have said, it’s certainly not the first time, if you have a drummer, it’s because the drumming was in the drummer before the drumming took on. It’s an intuitive . . . sort of a natural thing. A drummer will always find drums, but it’s very rare that drums will sort of grow from a person. It’s either there intuitively, or it can be there in different stages, obviously, but . . . or in different degrees, I should say. But the best drummers are drummers through and through, whether they have drums or whether they have no drums. It comes down to a musicianship thing. It’s like, you know, there’s a guy in Vancouver, Brad Turner, and he’s a fantastic trumpet player. And then you go listen to him on piano, and he sounds equally fantastic. And you go, ‘Well, how is that even possible?’ But it’s because musicianship is not something that just, you know, you do grow it, but it is something that is, you are a musician. You’re not specifically one instrument. David: Yeah. And I’ve also heard, in large part, it doesn’t necessarily have to do with skill so much as your personality, and how much people like to work with you in the industry. Shawn: Yeah. I think that certainly has weight to it. David: Hmm. 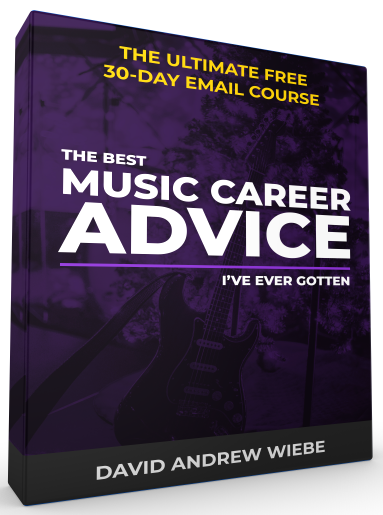 Talk about some of the things that you pay attention to when you’re composing music. Shawn: Hmm. I have an ideas well. I send myself an email every time I hear a really great idea in music that I want to sort of take and run with, and it’s just pages and pages and pages. Whether it’s a lyrical point, or a melodic point, or a harmonic point, there’s always something that can catch your attention in music. And being able to concentrate those things and describe them is very important to me, because I don’t know how you’d have good composition, apart from it being good for people to listen to. And, you know, that usually comes from the hook concept. And there’s all types of different hooks, and whether or not it’s recognized or not, there’s always things that can be done to analyze and figure out, ‘What is it about that four seconds of music that makes me so happy, or makes me so on fire about something, or just . . . ‘ You know, whatever it draws out of you at that particular position of the song. You can always analyze it, every time. And if it’s not, then there’s something that you can take from it, whether it’s an intangible or not, and apply it in some way to your own stuff. And that’s basically my composition has come from that standpoint. David: That’s good. What sort of music inspires you, besides some of the things that we already talked about? Shawn: Well, good music is good music, regardless of the style. I like bluegrass a lot. I think that Alison Krauss has one of the sweetest voices I’ve ever heard. And there’s a lot of really good music everywhere. It just comes to, you know, if you listen to just vocal. Bobby McFerrin, for example. I mean, he’s a master, and he’s got such a lock on nuance, and that’s what it really comes down to. If you can latch onto who is being able to sort of give off nuance in their music, they emote very easily. They have a response with their audience very quickly, and that typically comes from this sort of nuance concept. Louis Armstrong had it. You know, you can talk about who, you know, what was done in the late ’70s, early ’80s, with, you know, some of the stuff from Earth, Wind, and Fire. It’s like, it’s all the same. Nuance is nuance, and it’s what attracts us to music. So that’s probably one of the biggest things that’s more universal, I think. David: Hmm. Let’s talk about jazz for a bit. Earlier, you mentioned that you had some education in jazz. David: So what are some of the things? What are some of the big takeaways from playing jazz? David: Ah, the phone’s ringing. Shawn: Some people from the Jazz Association of Western Canada calling me up on wondering what’s going on. Other takeaways. I think the biggest thing was that it set something. It set up . . . I heard something in jazz that really, I really loved, and then I moved towards that, and that jazz wasn’t for me the final ending to the chapter, like I thought it was going to be. Shawn: It only set me up sort of this music trajectory that now put me into being able to describe what and why I liked certain styles of music. I think jazz is very good at . . . if you study jazz, it’s a very good way of being able to harmonically categorize things, shall we say. Being able to take music apart. Not as much as classical, for that matter. But jazz is very good at understanding harmony, because obviously the vertical structure of jazz is very wide. There’s a lot of rich chord usage and a lot of different textures that can be applied. So . . . I mean, there’s a lot of people who have taken that and, you know, they’ve gone in an entirely different direction with it. Like, there’s an outcropping of this going on in the ’60s and the ’70s, there were a lot of, you know, jazz musicians who went off and did different things, like the alto saxophonist, was it Phil Woods? I think it might’ve been Phil Woods, that played the alto sax solo on ‘I Love You Just the Way You Are’ by Billy Joel. It might’ve been Phil Woods. I don’t remember. But yeah, that’s one example. I mean, he’s a fantastic jazz musician, but there’s a lot of different things. Like Branford Marsalis playing with Sting. It’s the same thing. It’s all sort of a developing of how you are able to see music, is the biggest takeaway, I think, for me. David: Hmm. There does seem to be a pretty big jazz scene in Calgary. But the immense amount of study and practice, and everything that goes into it. When you’re not getting paid to do it, it’s easy to get disheartened. Shawn: Yeah. Yeah. Yeah, all the more reason you have to make sure that you love it. Shawn: So it just comes down to being able to focus in the specific of what you are willing to do, and finding out what people are willing to pay you for, I guess. David: And that seems to be the story of the music industry currently. If you don’t love doing it, then you may have no business doing it. Shawn: Yeah. That’s certainly true. Yeah. David: It’s getting harder and harder for bands to make money via CD sales, and that’s a topic we’re going to get into here just a little bit later. 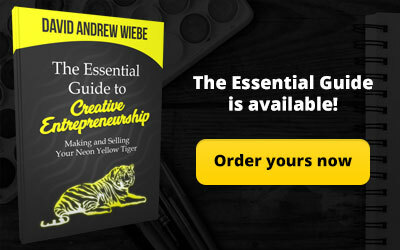 Some hot topics that we always like to talk about here on the David Andrew Wiebe Podcast. But first, we’re just going to take a quick break and let you know how you can get in touch with us. Here at Red Flame Studios, we welcome feedback on all of our projects. If you would like to chime in with your thoughts on this podcast, please email us at david@daw-music.com. You can also leave a comment in the show notes, which can be found at www.daw-music.com [show notes can be found at www.musicentrepreneurhq.com], as well as www.daw-interviews.com [defunct]. Please indicate if you do not want your email or comments read on future episodes of the podcast. I should also note that www.daw-interviews.com will only be updated when I’m actually interviewing someone. So in the case of podcasts where I’m not interviewing anybody, that site is not updated. All right. So let’s get to round two of the questions. And like I mentioned earlier, we’re going to get into some hot topics. So how important is it to network as a musician, in your opinion? Shawn: Networking is very important. I guess that depends on what sort of a marketing mindset you have. If you hate it, you’re probably not going to enjoy it. But it’s something that if you’re going to make a viable business out of it, it must be done. Obviously people have to know about you if you’re going to be able to bring a product or a service forward that is valuable to the community. So obviously it’s going to be pretty important that marketing is a part of that. 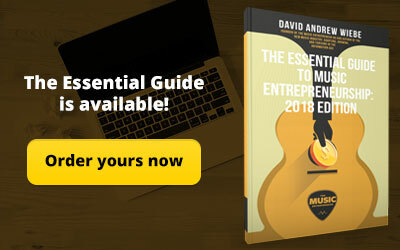 David: What are some effective ways of marketing? Shawn: That’s a good question. [laughs] One of the . . . for me, one of the best ways to market myself is that I don’t like to exalt myself. Music ministry is something that is fraught with self-aggrandizement. And as somebody who wants to use music as a tool to lift God up, I don’t want to be – I don’t want to be exalted. I want God to be exalted. And I’ve always found that, in the middle of that, he will bring you what you need out of provision. The more sort of he’s lifted up and we are decreased, there’s great confidence that can come from that. And the experience that I’ve had, certainly, of how God has provided for me in the middle of those things. Shawn: I haven’t put my name out there. David: You know, social media and online social networking is a pretty big hot topic right now. And with most podcasts, I’ve found. And there are a lot of people who only use it to talk about what they’re doing. And I think . . . I mean, and Twitter maybe in some ways has encouraged that. 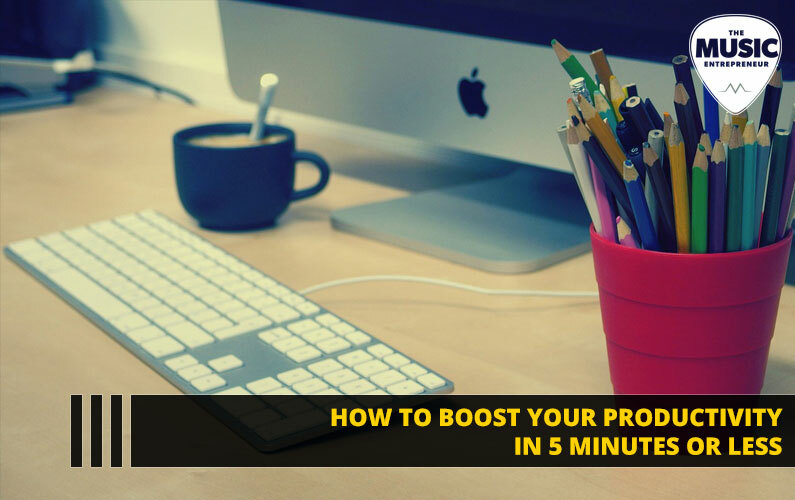 At the same time, when used effectively, there are people that are finding success. So let’s talk about, you know, maybe some of the social media that you think about getting into at some point, or no? Shawn: And even if it is sort of . . . you know, even if your friendship base is, you know, sort of an inch deep and a mile wide, so to speak, it’s still sort of cool that, oh, yeah, I can connect with them if I, you know, if I need to. And it’s an interesting way to micro-blog with, you know, the status reports and stuff like that. Shawn: I like . . . you know, I like finding out what people are doing. Not so much as, like, ‘I’m in the car wash right now!’ Like, that’s not interesting. Shawn: Make it worthwhile, people. If there’s one thing on Facebook that you do, make it worthwhile. ‘I am making my dog his breakfast.’ Like, that doesn’t matter. That’s fine, but, you know, there comes a point where it’s like, obviously you just want to be heard. And if it’s something worthwhile, that’s great. That’s great. Facebook is something that I use, and so — to go back to the point — it is something that I would use, because it’s something that I use. Shawn: Things like Twitter, I don’t know too much about. I’m sure that it has some uses for some people who are just, like, ‘Oh, I really need to know what that band is doing right now at this moment.’ Yeah, I’m sure it’s very effective. And I don’t know that I’ll ever use it, but you know, I may have my mind changed depending on what sort of directions it can go. Shawn: [laughs] That’s a really good . . .
David: It’s not personally directed, unfortunately. Shawn: Yeah. Yeah. That’s a very good point. Shawn: You have to think in terms of conversation, absolutely. Shawn: Like, do you converse with somebody by going up and sort of telling them, you know, with no desire for a two-way conversation? Then why would you put it on one-way? Shawn: I like those blog posts, like sometimes Tim Tamashiro has this thing on . . . he’s a Facebook friend of mine, and sometimes he’ll ask a really quirky question. And there’s, you know, there’s always a good 25 responses, you know, in the first 15 minutes. So he’s . . . it’s an interesting way to sort of start conversations about, you know, different discussion points. I like that perspective, certainly. David: Yeah. Me, too. 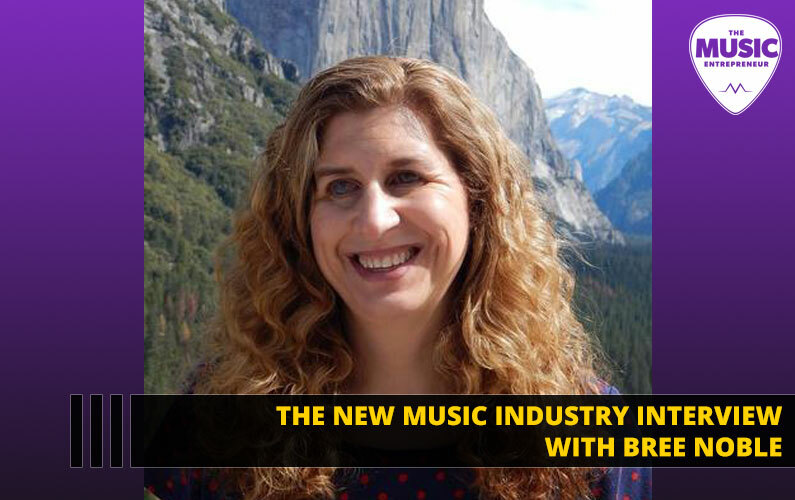 So how can a musician balance their practice time, promotional efforts, and daily responsibilities? Shawn: Hmm. Integrity is very important, always. Shawn: Your personal relationships with people are . . . obviously they’re very important. So if people think that you’re trustworthy, they will go with you over somebody who is less so, of the same skill level. Shawn: So in that way, private practice is obviously something that’s very important. Shawn: But I’ve known a lot of people. Working on cruise ships is a great opportunity to see . . . we call them . . . now that I’ve forgotten the name. Shawn: And they just don’t hired, because it’s not about one. It’s about collective creativity in organization for the sake of bringing a general sense of enjoyment to a larger . . . even larger concentric circle of people, shall we say. One person can’t do that. There’s a lot of people who, you know, who might say otherwise, but I don’t enjoy playing or listening to people who are exceedingly self-centered like that. And we all are self-centered to a certain degree, I guess, but to be playing in different groups, more is better than playing all by yourself with no, you know, group playing. As far as your business side, I mean, that’s, we need to live. It’s obviously a very important thing. Knowing where that line is, I guess, develops from person to person. For me, because God is first priority every time, he gets first thing in the morning. My wife is second priority in my life, and developing a relationship with her, developing our marriage more, is something that has got to be second place all the time. And then the third, school, right now. But fourth, having the private practice is important. But because I’m not playing as much, it becomes less important. So I have opportunities to do more composition and things like that. Obviously, you have to judge, you know, wherever your maximization point is. If you have a big gig coming up, you know, practice, yeah. Get together with your band and put it together so that you sound sharp when you get up there. Shawn: But if you’re not going to be playing for a while, then, you know, try something different so that you can put your focus in another way. David: Yeah. It’s really interesting. Shawn: Oh, that’s very, very helpful. Shawn: I mean, it’s what the Bible says. It’s great. David: Yeah. Exactly. I guess there is another study which indicates that the only thing that most successful people had in common, it wasn’t race or age or anything physical. It was just the fact that they read lots of books. Shawn: Hmm. Yeah, knowledge is very important. Yeah, that’s interesting. Shawn: I guess that’s why there’s so many podcasts, because there’s so much good knowledge to be shared about modern trends and the direction things are going, and why we do what we do. David: Yeah. Absolutely. It’s really good. You know, the Internet has made the world a little smaller. You know, we can go and listen to a podcast or read a blog post and learn lots. So Google has certainly made a lot of information available at our fingertips. David: So there have been a lot of changes in the music industry over the last few years. What is your take on that? On what’s happening right now? Shawn: Well, let’s take a step back, even. Let’s go into the history books. If we consider what has happened has not happened before. What has happened now, recently, is not something that’s totally new. Shawn: As much as the technology innovations have been something new, this is still, so to speak, it’s more of the same. I mean, everything is as it was before. There’s nothing new. People are always trying to develop new ways of doing things, and new musical innovations are always going to be present, which is great. That’s very exciting, and I’m very excited to know what’s going to, you know, what the musical landscape is going to look like in 15 years, and that’s very exciting. But at the same time, there’s been a certain amount of musical inbreeding, shall we say? I should say I’m very grateful for the music that exists elsewhere, not here. Because the more you listen to, the more you have where you are, the more you sound like everybody else. Shawn: The advantage of having, you know, so many musical styles and types and bands on the Internet is that there’s a lot of opportunity to hear some really good stuff. But at the same time, there’s so much filler. There is so much of that, the reason that they’re not being picked up by studios is because they just don’t have, they don’t have musical, they don’t have something, for whatever, that makes it good to listen to. So the direction that music is taking now, it’s just more of the same. There’s more power. There’s a certain shift going on, that’s for sure. But good music will always be good music, and it will always have its place. And that’s why we can be more grateful for the Internet and the . . . sort of the Long Tail, so to speak. I’m sure you’re familiar with the concept. The idea that because it’s not a physical product in stores, as CDs, anymore, there’s more room . . . because it’s, you know, obviously it’s a digital file. It doesn’t take any physical room, except on a server. So it just comes out to there’s so much more music available that what would have pushed off the end of the bell curve for sort of music that was less important has now created this huge market of genre-based music that anybody can find, and it’s a fantastic innovation. You know, you can find bands on the Internet that would normally not have any exposure at all. But now you can find all of those bands that you would really enjoy the music of that normally you’d never be able to hear before this point in time. David: Yeah. Definitely. There’s an interesting fact, which is that although, you know, in the news, they’re saying CD sales are down, in fact, independent CD sales are actually up. Shawn: I believe that. Yeah. David: Yeah. So it’s a really interesting trend that’s happening. And another thing I heard was that a similar thing happened when music was first transcribed. I don’t know how early that would be. 16th, 17th, 18th century. Somewhere in there. And now that the transcriptions of the music became readily available, a lot of the composers or musicians of the time thought that would devalue their performance of it. If anybody could play it in their homes, why would they need to come and see them? Shawn: [laughs] That’s . . .
David: And that’s a similar thing that’s happening now. But just because everyone can download or hear it anywhere doesn’t necessarily mean that it devalues the music. Shawn: Yeah. Yeah. I mean, good music, it will always be something that people will enjoy hearing. I mean, that’s why music continues to be so prolific in our . . . in the world. It just comes down to a matter of if it’s enjoyable, it will be good. I mean, people thought the same thing about the cassette tape. Shawn: You know, it’s no different. Nothing ever changes. It’s just sort of a new group of thinkers saying, ‘Well, we’ve got to protect what’s ours here.’ And, you know, sometimes that’s a positive thing, but not always. In my eyes, nothing that I have is my own. It’s all a gift from God that has been granted to me for the sake of offering something beautiful, that his own beauty is seen in the tool of music that I use. It’s not something that’s mine. It’s not something that I make. He’s given me the ability to create music, and I’m very grateful for that. But I certainly don’t hold it as my own. Shawn: You know, I’m just grateful that we’re part of the process. David: It’s interesting that certain organizations are trying to backpedal, go back to the old model. Copyright, you know, trying to enforce stronger copyright laws. And then there are some camps that are trying to take advantage of the fact that people are downloading lots of music, and making their albums available for free. David: So we’re still stuck in interesting times for . . .
Shawn: Yeah. I think the model will always, there’s a group of thinkers that the model that stands is the model that goes. And, I guess the innovative thinkers are always going to be challenging that, and that’s a good thing, because, you know, there’s always innovations in different directions. The concept of ‘Free,’ for example. I mean, I read the first few pages just in this bookstore about this book called ‘Free.’ It was by the same guy who wrote ‘The Long Tail.’ And it’s just . . . I, actually, no, it might be a different author. But in any case, this idea of giving away something, is very powerful. Shawn: Very powerful. Because if you get people who like your stuff attached to your stuff, they will eventually pay for it. It’s a surefire way. David: Yeah. That’s good. 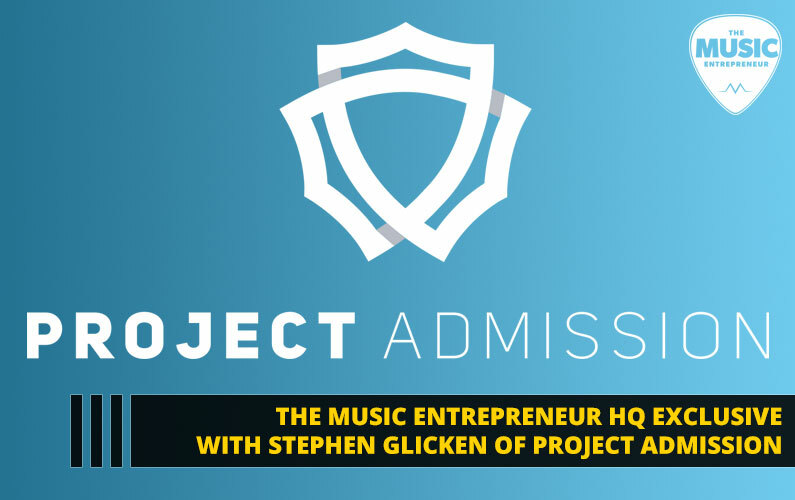 Do you have any advice for people that are trying to get established in the music industry? Shawn: I think that your focus must always be very, very sharp. Pick your direction and go there. Using the elements, you know, using what you have available to you is very important, whether it’s, you live in a community of whatever, 50 people with one little coffee shop in town, or you live in Los Angeles or, you know, whatever. If you’re in Toronto or Vancouver. It doesn’t matter. Use the resources that you have available. And I think being an artist is, I mean, I think Stravinsky put it best. An artist is, first and foremost, an observer. And not just in musical ways, but also in business ways. Being able to see something that maybe a lot of people aren’t able to see. Shawn: And using that to an advantage is certainly going to be, it’s always key in innovation, I guess. David: That’s good. Earlier, we were talking about — before the podcast started — some of the different resources that you’re tuning into. So let’s talk a little bit about that. Shawn: As far as podcasts go? David: Podcasts or blogs or . . .
Shawn: There’s two that I like especially. One’s called Music Career Juice. It’s Peter Spellman. He’s at Berkeley. He’s the career direction guy at Berkeley Music, and he’s got an exceptional resource for researching things. I don’t know how he does it, but he’s just very good at researching things and resourcing things. The other guy is, what’s his name? I don’t remember his name. But he does one called Music Is Your Business. Chris, Chris something. Shoot. I forget what his name is. He’s out of Seattle. I’ve really enjoyed the things that they have to say on their podcasts. 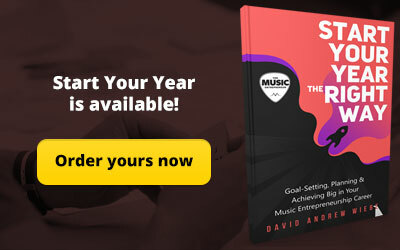 Music Career Juice and Music Is Your Business. 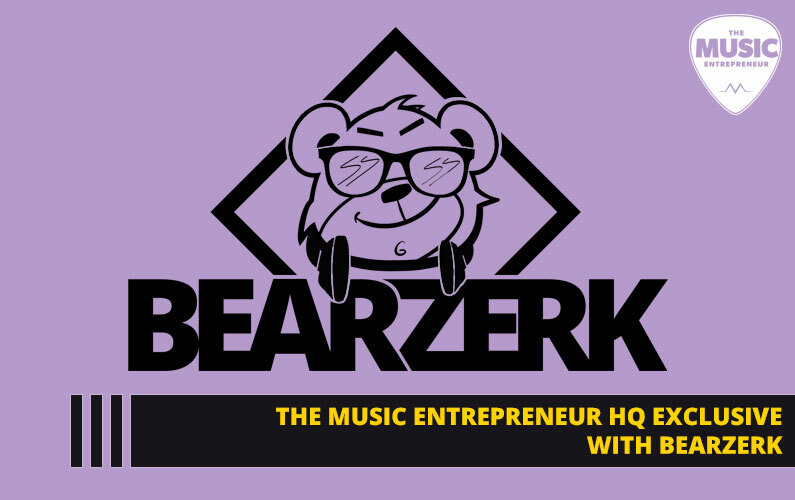 I think there’s a lot of good stuff that is non-musically related that you can find in a business sense. For me, leadership is very important. I like authors like John Maxwell. I think ’21 Irrefutable Laws of Leadership’ is an exceptional book in guiding principles in organization. And there’s a lot of good things out there. But, I mean, ultimately, for me, it always comes back to, if I have some time to invest in a resource, it’s always going to be the Bible, for me, because we have no, I mean, what do we know as people? I mean, people, people come up with things, and people create new things, but it’s not in their own strength that they do that. They do that by the ability to create that God has given them. So my, you know, being that my final end in music is to point to God’s glory and exalt Christ’s name, I think the ultimate thing is that we don’t know much. And one of the best ways to know what is good, what is wise, is to invest some time in God’s word so that we do. David: Yeah. I know the days when I feel really connected to God, I just feel like . . . I don’t know if I can call it divine wisdom. But certainly discernment in how to reply to people’s text messages or emails or whatever seems to come more naturally when I am connected with God, so . . .
David: The Bible has such good things to say about even your finances and your business and whatever topic you’re looking for, really. Shawn: A lot of stuff in Proverbs about it, and, you know, general principles of . . . you know, the society that we live in was developed from a Judeo-Christian beginning, that all of our laws, in their infancy, and all of our conceptions of freedom, they all stem from the Biblical model. David: That’s right. That’s right. Shawn: So, I mean, going back to that source is . . . I mean, it’s a great thing. David: And that’s what I wanted to hit on, so there you go. Shawn: [laughs] Stole your thunder. David: [laughs] No, that’s really good. Any closing remarks? I think we’re pretty close to wrapping up here, so . . .
Shawn: Let’s see. Do what you love, and do what honors God, above all things, even if you don’t love it. Do what honors God, and eventually, he’ll give you the love so that you’re able to endure. David: Hmm. Very good. Okay, thanks a lot for being a part of the podcast, Shawn. Shawn: It’s a pleasure being here, Dave. David: It’s great to have you. 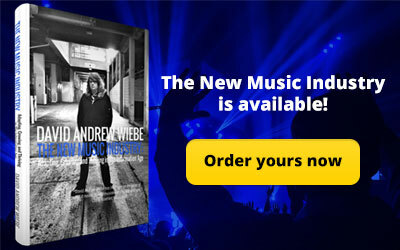 You’ve been listening to the David Andrew Wiebe Podcast, broadcasting from Calgary, Alberta, Canada.